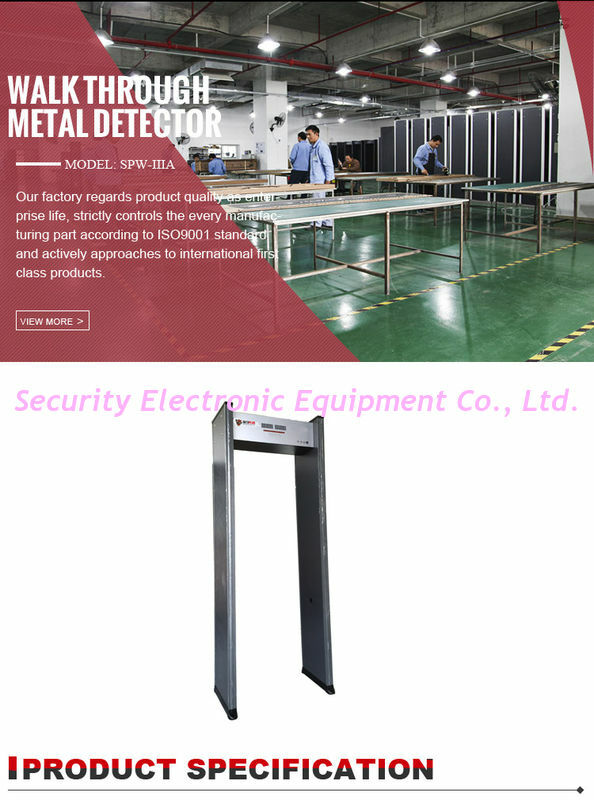 SPW-IIIA Walk through Metal Detector can easily detect metal weapons, such as knife and gun, and any metal article which is hidden in human body. 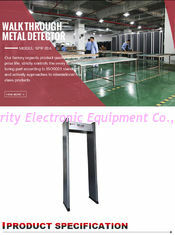 Levels adjustable sensitivity for better detection of hazardous metals. ● Self Diagnostics: friendly self-testing diagnostics to identify faulty condition. ● Easily accessible, modular design with standard plugs and connectors. ● throughput rate. :30 persons or more per minute. ● Alarm: Audible alarm on detection with adjustable volume. · Adjustable operating frequencies---eliminate the potential effects from X-ray units, radios and other electrical interference sources. 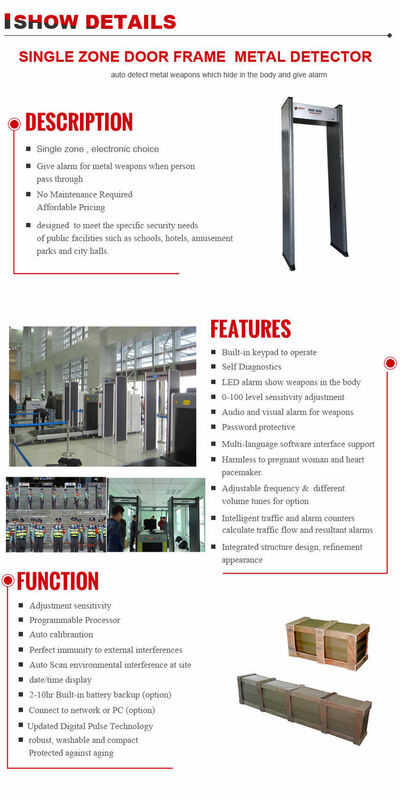 · High brightness digital display board show Alarm area, the number of people pass, the number of alarms, the alarm signal strength instructions.